An accountant who bought four houses, luxury cars and holidays after stealing almost £2.5m from his employers has been jailed. Allan Curry, from Seaham, created false account documents and emails from the car dealership Evans Halshaw in Middlesbrough and transferred the money to his own bank account. The 24-year-old admitted fraud by abuse of position and money laundering. 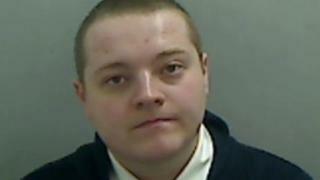 He was jailed for six years at Teesside Crown Court. The court was told that over a two-year period from April 2014, the former assistant accountant made 140 different transactions totalling more than £2,470,000. Curry bought houses and cars including BMWs, Range Rovers and Mercedes, as well as spending £140,000 on personalised number plates, and transferring £136,000 into a Sky Bet account. He told his family he had made the money from gambling. Prosecutor Ian West told the court: "It started by taking a small amount of money and it snowballed from there." Curry told police in an interview that he became addicted to the gratitude his family gave him when he started to help them out financially, Mr West said. Paul Fleming, defending, described Curry as a "naive young man" who "bitterly regrets the initial decision to steal" but the "temptation to continue was something more than he could resist". However, Judge Simon Hickey told Curry: "You knew exactly what you were doing, you were stealing vast amounts of money to service your gambling habit. "It is a significant figure, one rarely seen even in the crown court." Cleveland Police said they will instigate Proceeds of Crime Act proceedings "imminently" and civil proceedings by Evans Halshaw against Mr Curry are ongoing.